Consider also the Efficient Market Hypothesis that essentially implies that there are no stock investing strategies that provide a sustainable advantage for an investor over any long period of time. The markets will immediately react to close any “inefficiency” in the market. You would therefore think that your best bet for investing success is to buy into an index fund and hope for the best. Let’s take a brief look at both these points. So many experts agree that you should aspire to be average and anything else is foolish and a pipe dream. So what statistics they use to back up this claim? 80% number is stunning but if you stop to think about it for more than a minute, it is hardly surprising. Now think of the fund managers who do have a history of generating market beating returns. This would include Peter Lynch, Ken Heebner, Marty Whitman, Bill Miller, etc. There is something they all have in common – they are or were all excellent stock pickers who usually ran a concentrated portfolio to generate market beating returns. Perhaps Peter Lynch is an exception to the concentrated portfolio requirement but it is to his credit that he continued to deliver excellent returns long after the Magellan Fund started growing too large and this is largely due to the fact that he was an above average stock picker. 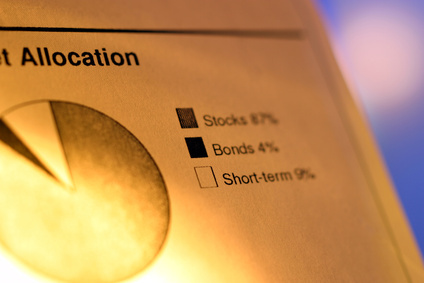 Diversification is necessary if you don’t know which stocks to pick, don’t have time to research investments, or, as is the case of the most fund managers, you are scared of underperforming your index and your job or compensation depends on it. Now think of a typical financial planner or your friendly neighborhood broker (what does a stock broker do?). It is just so easy for them to follow the herd and the conventional wisdom than to risk losing a client by giving a different investing advice which might be considered “risky”. But there is a much more fundamental question, you as an investor need to ask yourself. Your wealth, retirement and future lifestyle depend on your investments. Why would you accept average or mediocre in this area of your life when you will not accept average or mediocre in any other part of your life? You say risk? Let’s talk about risk for a moment (a great segue to discussing the next point). This is so often stated as a fact that it really boggles my mind to think that people really believe this. It is like saying “You can’t get better grades at school unless you take more risk” or “Only way to make a business more successful is to take more risk”! There is no credit given to the fact that ability, hard work, and smarts can actually remove a lot of risk from any endeavor. Buying stocks is not the same as buying a lottery ticket where taking more risk (that is buying more tickets or numbers) increases your chance of a substantial payout. Stocks do not perform randomly. To understand what is going on here, we will need to understand how risk is defined in investing. Risk is traditionally associated with beta or the volatility of the stock price on a daily basis as compared to the market index (Learn more: beta in stocks). Any stock that closely tracks the market is considered average risk while a stock with prices less volatile with that of the market index is considered less risky and vice versa. For a casual investor, it does reinforce the notion that being as risky as the market is normal and acceptable, but this is not even the worst of the problem with this definition of risk. Consider the stock whose price has been beaten down to a very low point. Just like Washington Post was when Warren Buffett bought a stake in the company. The entire company could be bought at a mere $100 million at that time. This definition of risk would have you believe that Washington Post was more risky at $100 million market capitalization than it was some time earlier at a higher market value. To me, the risk that a stock will perform much better than the market is a good risk that I want to take – not avoid. If you treat stock prices as random and inherently unpredictable, than only way to lessen the risk in your portfolio is to diversify. But if you believe that stock prices ultimately reflect the strength of the underlying business, than a careful review of the business fundamentals will reveal how much real downside risk is really there if you choose to invest in the stock. Traditional value investors add another layer of conservatism by requiring a margin of safety – which just a way of saying that they will only pay a price that is much lower (30%-40% lower) than what they calculate as the intrinsic value of the stock. Ultimately, the returns or the rewards depend on the effort and knowledge you bring to your stock picks. This is the same principle that applies to any other aspect of business or life. The key takeaway from these referenced material is that while passive investing sounds great on paper, in practice, active stock picking by careful long term oriented investors wins out. Is there a page on your website which lists the fees to become a premium member?